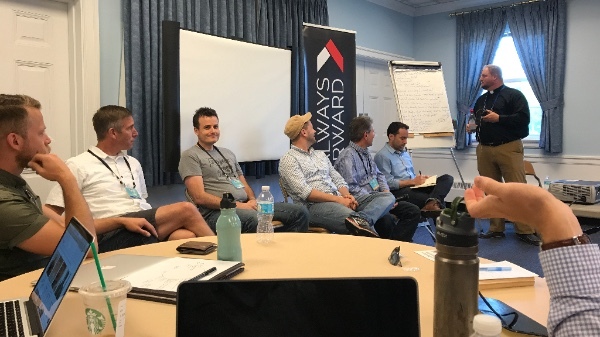 EDITOR's NOTE: This is the next installment in our "Into Harvest Series" where we are meeting and getting to know members of the Great Commission Committee of the Diocese of the Mid-Atlantic, learning more about who they are and why they are committed to the mission of church planting. The Rev. Alex Leighton is featured in this issue and in addition to his ministry at All Saints' Church and the Great Commission Committee, he also attended Assembly 2017 and writes of his experience. Greetings and blessings in Jesus' Name! My name is Alex Leighton and I'm the Associate Rector at All Saints' in Woodbridge, VA. My wife, Rebecca, and I have been married for 11 years, and we have four children, Ezekiel, 9, Sydney, 7, Titus, 6, and Violet, 3. We have a full life (I've stopped using the word "busy") with ministry, Rebecca's growing home business, and our family life. As a family, we recently had the joy of hosting Community Vacation Bible School in our yard, and 27 students joined us for five days of fun-filled discovery of the God of the universe. It was such a gift to be able to minister together as a family, as we saw young people, and especially our neighbors profess faith in Jesus. Our family ministry began years ago, as we were part of a church plant in Westchester County, NY, beginning in 2007. We were starting a family and a church at the same time—not for the faint of heart! And while that time was full of joys and challenges, we saw God's hand in that whole experience. We loved the opportunities we had to be on mission outside the walls of the church, to share the gospel, and to see people respond. In 2011, when All Saints' and Dan Morgan were looking for a third priest, they extended a call to us and the timing was right for us to join in that new mission. While the last six years I have been on staff at All Saints', the love of evangelism and church-planting continues. I loving being a part of the Great Commission Committee as we get to encourage evangelism and church-planting on the diocesan level. My most recent experience with the Great Commission Committee came at the ACNA's Provincial Assembly in Wheaton, IL. I was part of the Always Forward track, the team equipping our province for church planting. Being among church planters and church-planting leaders was such an encouragement. I'd love to share a couple of highlights from that time. Canon Dan Alger, who leads Always Forward, began the teaching time and he immediately challenged our preconceived notions of what it meant to plant churches. So often we jump to the "How?" of church planting before we deal with the "Who? ", the "What? ", and the "Why?" According to Dan, Anglican church planting is a work of submission; of leaders who are submitted to the Lord and to local authorities, not "hero entrepreneurs" bent on gaining a name for themselves. We are called as Anglican church planters to engage in the pursuit of holiness, both personal and corporate. Building on what Dan Alger shared to open our time, Bishop Stewart Ruch taught on the architecture and the engineering of the church. The architecture he took from Acts 2:42-47, calling us to be like the early church, a church that was scriptural, sacramental, spirit-filled, sacrificial, and salvation-oriented. In Anglican circles, we often talk of the three streams of the Anglo-Catholic, the Evangelical, and the Charismatic. Bishop Ruch said that was incomplete and could lead us to the danger of becoming a "cul-de-sac church", where people come to visit and have their personal tastes appealed to, but that we don't continue to head out in mission. The sacrificial piece and the salvation-oriented piece lead us out to fulfill both the Great Commandment and the Great Commission. 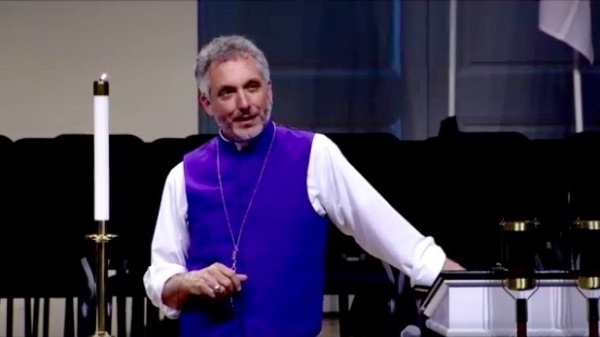 Bishop Ruch also taught on the engineering of the church from Ephesians 4. We are called into the catalytic offices of apostle, prophet, and evangelist, and to the building offices of shepherd/pastor, and teacher, he said. We need all of those fully functioning to be a five-fold church. For me personally, this teaching really found a home in my heart and I've been processing it since my time there. I do pray for our movement, that we won't be a "boutique" church, or just a destination for other Christians who haven't found all their needs met elsewhere, but that we would indeed be fully engaged in God's mission, recognizing the mission at our doorstep and beyond. The Rev. Alex Leighton is Associate Rector of All Saints' Church, Woodbridge, VA. He serves as a member of the Great Commission Committee.